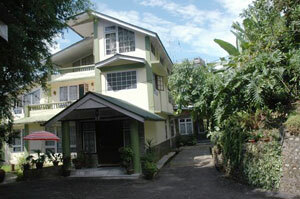 Welcome to THE SHIRE for genuine Sikkimese hospitality. 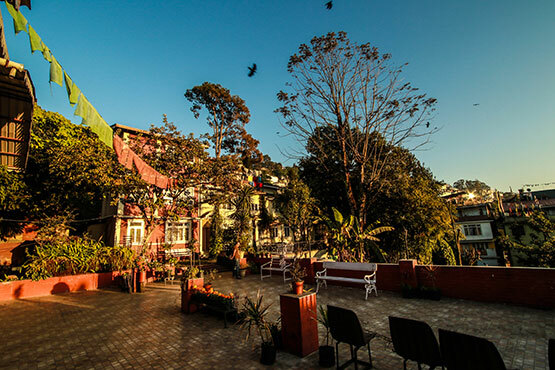 Within a five-minute drive from the hustle and bustle of Gangtok town, the quiet stillness and tranquility pervades the idyllic location of The Shire, where you can sip tea in the garden amidst flowers blooming and with the quiet companionship of the flutter of butterfly wings. The mighty Khangchendzonga, the guardian deity of Sikkim lies resplendent in all its glory showering munificence on all who gaze at her. 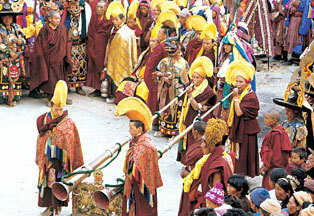 The tradition of Sikkimese hospitality is evident from the fact that The Shire is a home away from home. Sikkim, the Hidden Land of Sacred Treasures and blessed by the great Tantric Master, Guru Padmasambhava, is a pristine land decreed to be a "beyul", a place where the Saintly and the devout shall seek and find refuge during cataclysmic times. Most hiltops have a monastery and the flutter of prayer flags and the chant of monks in their daily prayers reflect the deep singularity with which Buddhism has taken root in this ephemeral land. Sikkim is one of the biodiversity hotspots in the world and boasts of a wide swathe of exotic flora and endangered fauna: 600 species of orchids and an equal number of bird and butterfly species and 36 species of rhododendron that burst with colour during spring. Visit the colourful local market and mingle with the friendly village tribals or witness the fabulous masked "chhaams" or dances of the Pang Lhabsol held between August and September as a supplication to Mt. Khangchendzonga for protection. Go on a trek, visit a mountain village or admire the wonderful views of the majestic range of the Himalaya, Sikkim has it all.